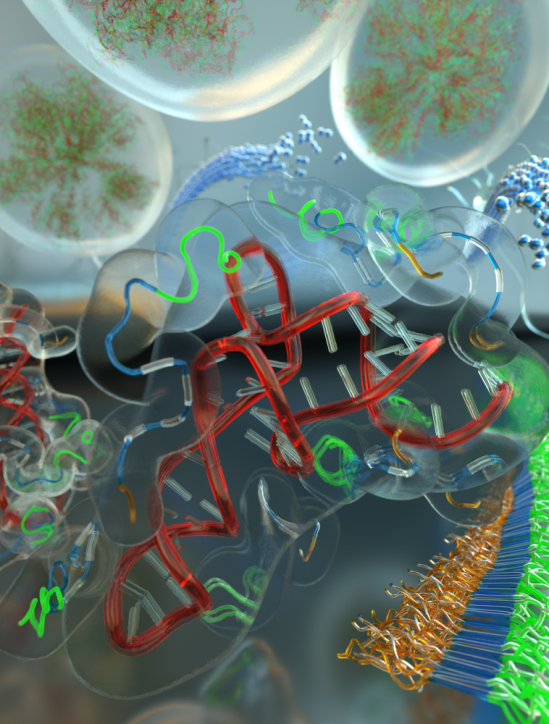 Tau was found to belong to proteins that undergo liquid-liquid phase separation upon association with RNAs that establishes a new phase state. Photo Credit: Peter Allen. While much about Alzheimer’s disease remains a mystery, scientists do know that part of the disease’s progression involves a normal protein called tau, aggregating to form ropelike inclusions within brain cells that eventually strangle the neurons. Yet how this protein transitions from its soluble liquid state to solid fibers has remained unknown — until now. Discovering an unsuspected property of tau, UC Santa Barbara physical chemist Song-I Han and neurobiologist Kenneth S. Kosik have shed new light on the protein’s ability to morph from one state to another. Remarkably, tau can, in a complex with RNA, condense into a highly compact “droplet” while retaining its liquid properties. In a phenomenon called phase separation, tau and RNA hold together, without the benefit of a membrane, but remain separate from the surrounding milieu. This novel state highly concentrates tau and creates a set of conditions in which it becomes vulnerable to aggregation. Kosik and Han outline their discoveries in the journal PLOS Biology. The researchers found that, depending on the length and shape of the RNA, up to eight tau molecules bind to the RNA to form an extended fluidic assembly. Several other proteins like tau are known to irreversibly aggregate in other neurodegenerative diseases such as amyotrophic lateral sclerosis, more commonly known as Lou Gehrig’s disease. Subsequent analysis will consist of an intensive search for the counterpart of tau droplets in living cells. In future work, the researchers also want to explore how and why a cell regulates the formation and dissolution of these droplets and whether this represents a potential inroad toward therapy. The University of California, Santa Barbara (commonly referred to as UC Santa Barbara or UCSB) is a public research university and one of the 10 general campuses of the University of California system. 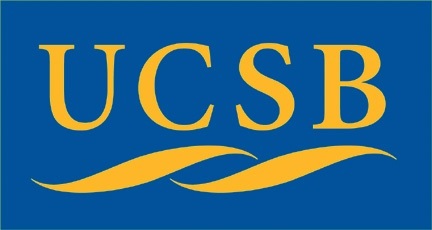 Founded in 1891 as an independent teachers’ college, UCSB joined the University of California system in 1944 and is the third-oldest general-education campus in the system. The university is a comprehensive doctoral university and is organized into five colleges offering 87 undergraduate degrees and 55 graduate degrees. In 2012, UCSB was ranked 41st among “National Universities” and 10th among public universities by U.S. News & World Report. UCSB houses twelve national research centers, including the renowned Kavli Institute for Theoretical Physics.